As you would expect, the level of difficulty grows with each succeeding level. The early levels are for learning, and are almost too simplistic, but teach you well the basics of arc and force. 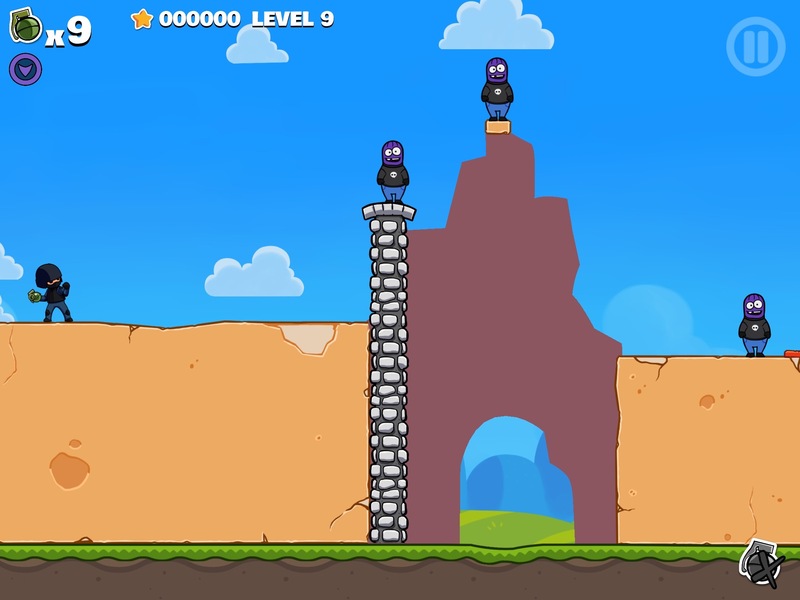 These easy levels will make sure that even those not familiar with these Angry-Birds kinds of physics games aren’t discouraged or quit early on. As you progress through the levels, the number of zombies increases and the placement of the zombies makes your job harder and harder. Sometimes they’re dug deep into tunnels, sometimes perched on overlooking towers. You need to use just the right throw to place your grenade next to the tower-based zombies to make sure it sticks and doesn’t bounce off. 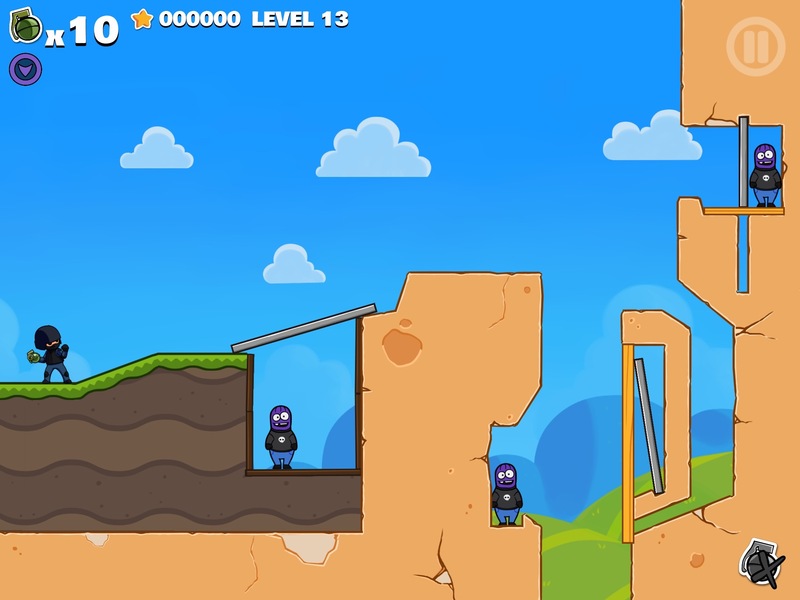 Many times there are intricate obstacles in the levels that will help you or thwart you, based on your throwing skills. For example, there may be a wooden door half-way down a tunnel that needs to be left intact to reach the first zombie, but blown up to reach a second. If you blow it up too soon, you miss the chance to ever reach the first zombie, and suffer the ignoble “you lose!” screen. The controls for Fragger 2 couldn’t be simpler: you draw trajectory and force with your finger on the screen. 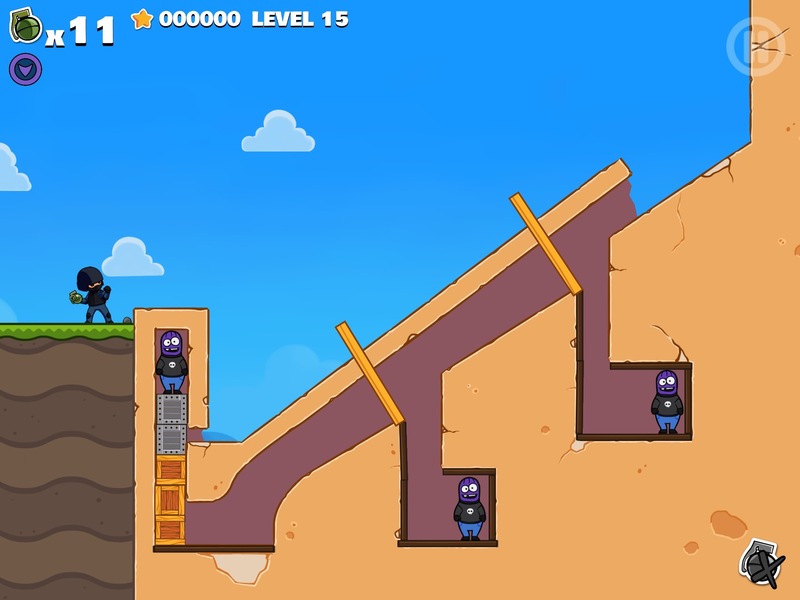 Once you take your finger off the screen, your grenade launches. 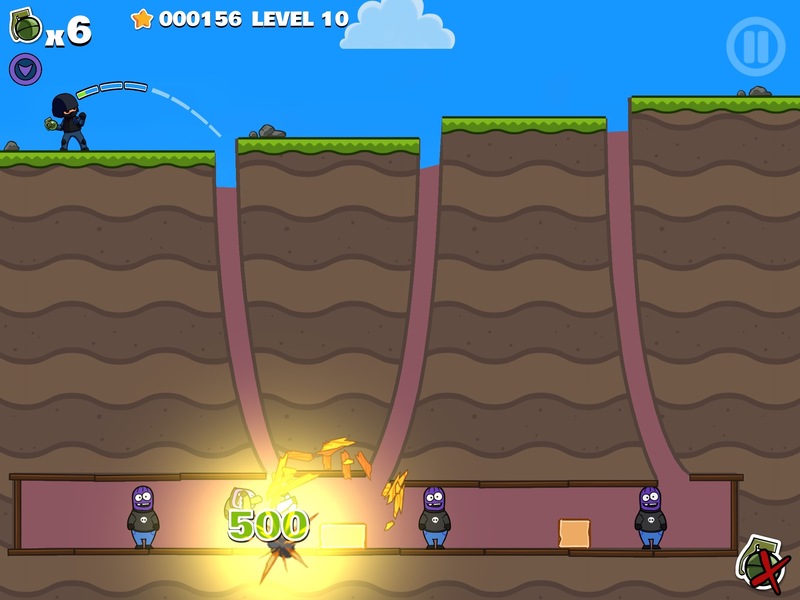 You get a variable number of grenades per level, depending on the difficulty of the zombie entrenchment. The graphics are attractive arcade quality, and the explosions are more Wiley Coyote than Call of Duty: you can even let your little brother or sister have a turn and they won’t be traumatized. For my skill level and frustration tolerance, Fragger 2 strikes the perfect balance between being too easy and boring you quickly, or being too hard and becoming more frustrating than fun. Here is an iTunes link to Fragger 2: it’s $1.99 in the app store and worth it, with no in-app purchase ads to distract from endless game play.